One of the UK’s most respected property experts has spoken about the importance of making improvements which homeowners can truly appreciate. Location, Location, Location presenter Phil Spencer told the Daily Telegraph that investing in home improvements, such as a conservatory, can help people to enjoy their homes even more. “The way I look at it, it is cheaper to build space than it is to buy it. Square footage equals money … we work terribly hard and should remember that our homes are sanctuaries from the outside world,” he stated. 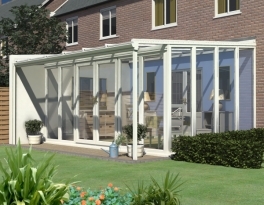 Mr Spencer added that in an extension homeowners can install a gym or hobby room, which might interest people considering investing in a conservatory. PropertyConfidential.com recently reported on the extra value that can be added to a house which has a conservatory and said that buyers are much more willing to pay a higher asking price for an improved property. Anglian Home Improvements. “Breaking the mould” in conservatory design and innovation for 2010.